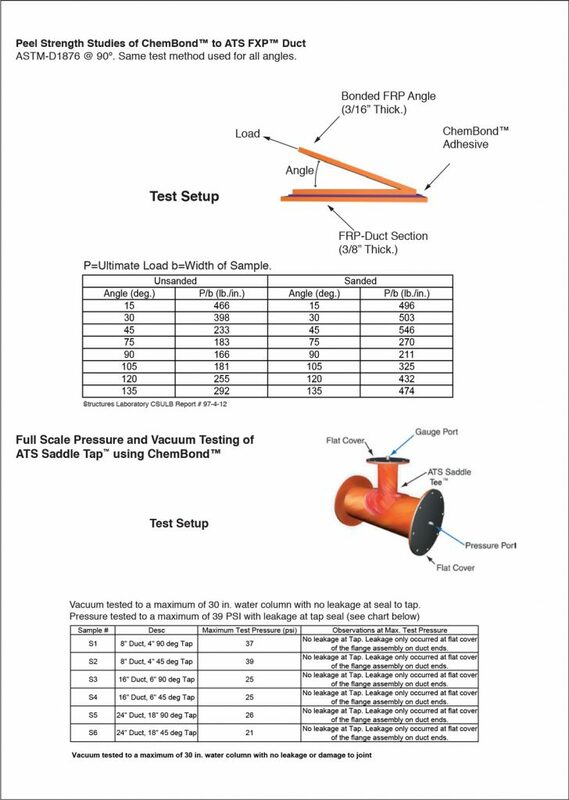 ChemBond™ has been at the heart of ATS modifiable joining systems since 1993. The following condensed literature is available in full size upon request. 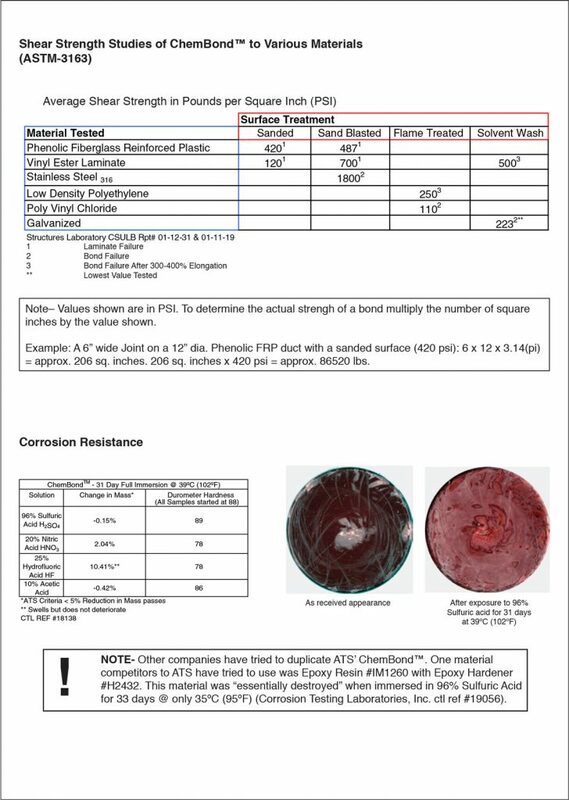 ATS ChemBond™ Resin is a unique product with characteristics that simplify the installation of ATS FXP™ duct. ChemBond™ resin with glass reinforcement can be used to bond two adjoining pieces of ATS FXP™ duct without pre-sanding the duct surface. Because it has minimal odor, requires no sanding, and has no adverse microcontaminant effect on silicon wafers (whether it is a liquid or solid state), it is especially desirable in sensitive cleanroom environments where dust and odors are prohibited and where microcontamination is a concern. 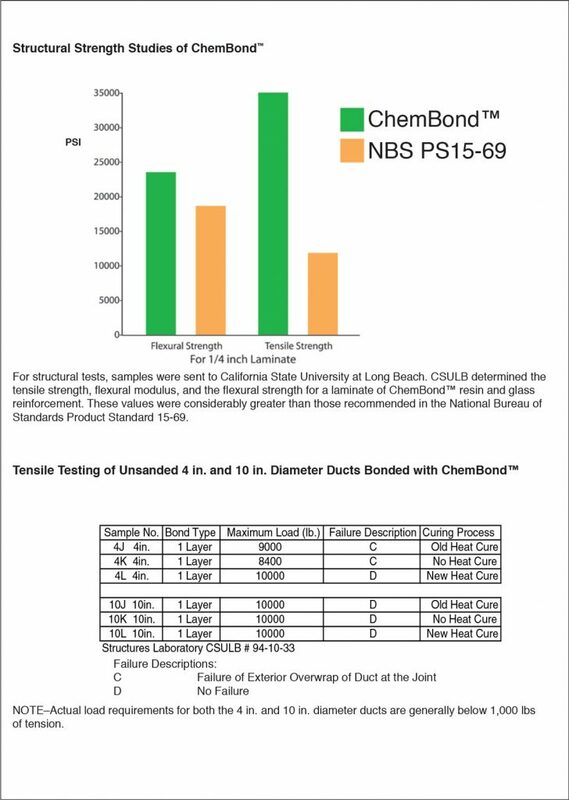 ATS, Inc. has done extensive testing of ChemBond™ to insure it meets the needs and standards of the industry.